Stay tuned for upcoming events for Play the Moment with Rahat Fateh Ali Khan in near future. 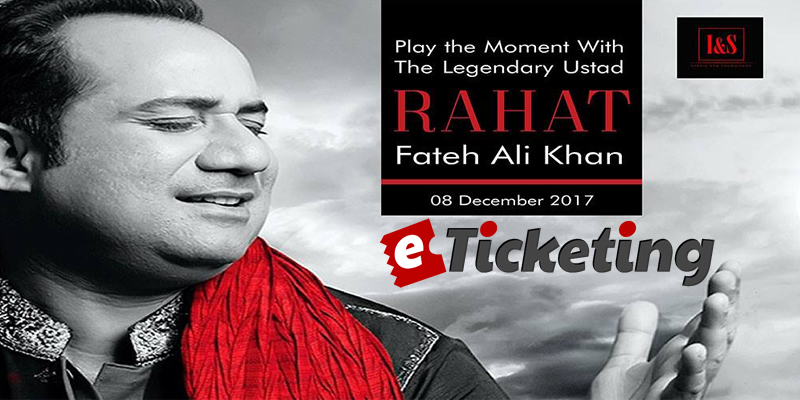 Play the Moment with Rahat Fateh Ali Khan, a musical concert will be held on 8th December 2017 at PAFSOM Arena, Islamabad. 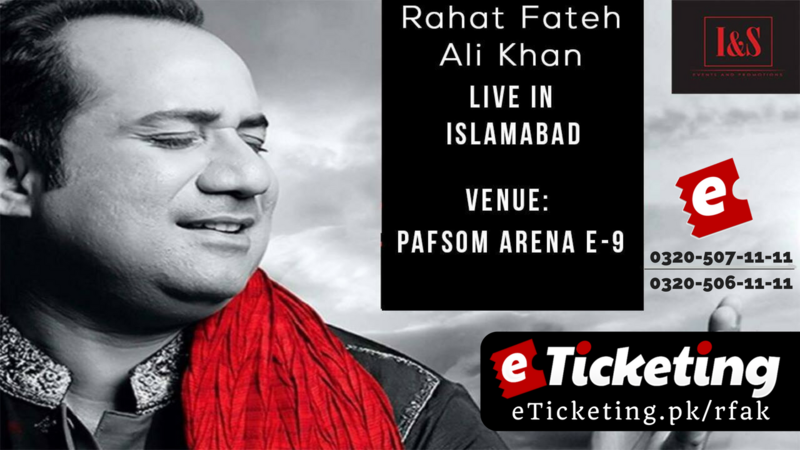 Music superstar Ustad Rahat Fateh Ali Khan will perform live. This event is being organized by I&S (Ideas & Style). Get ready for the most awaited session with ever melodious RFAK. People in Islamabad and nearby cities join to Play the Moment with The Legendary Rahat Fateh Ali Khan. I&S (Ideas and style) is providing event staffing, promotional modeling, marketing and other relevant services. Terms & Conditions : I&S reserves the right of admission to the venue and event. Best Viewed at 1024 x 768 pixels and above. This Page loaded in 0.09203 seconds on Tue, Apr 23, 2019 (21:22).